Beginning with a 50-minute yoga flow led by Tasha Liberman from evolveHer, you’ll experience in an interactive cooking demo led by Monica and Maggie from Green Spoon Kitchen. We'll wrap up with a mini meditation before we head into the weekend. 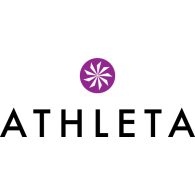 You’ll get an Athleta swag bag filled with goodies from Moonlit Skincare, Social Sparkling Wine, Zen Chi Tea, BuckWHAT superfood snacks and more!